Dennis Oland murder trial day #25 . Key witness for the defence Anthony Shaw was scheduled to testify this morning but defence lawyer Alan Gold is absent and so Shaw’s appearance has been postponed. Shaw is an important witness to the defence. 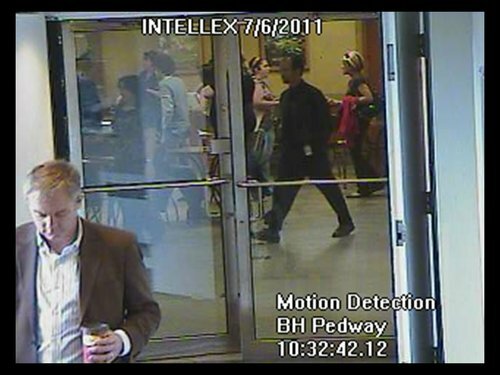 He was working downstairs from Richard Oland's Canterbury St. office on July 6, 2011, the night police believe he was killed, and has testified he heard thumping noises coming from the office around 7:30 p.m.
Shaw was one of two men working in the building where Richard Oland was killed on the evening he was killed. He and John Ainsworth both heard thumping noises coming through the ceiling that each later felt was the murder in progress. Shaw was sure the time of the noises was between 7:30 and 7:45 long after Dennis Oland had left the building at 6:30. Ainsworth could only say the noises were sometime after 6:00. That testimony is being delayed until Alan Gold returns. In the meantime court is hearing more testimony from the first trial being rebroadcast on courtroom monitors. 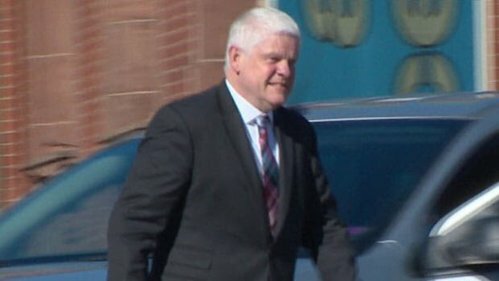 John Ainsworth, who was with Shaw at Printing Plus that night, testified at the first trial that the noises were sometime between 6 p.m. and 8 p.m.
Fredericks says videos are commonly compressed to save computer space. Causes loss of data. He uses special tools to be able to examine the data in its original form. 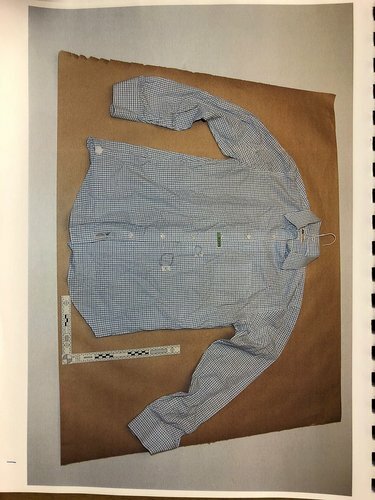 Police wanted to know if Fredericks could confirm that the jacket and shirt Oland was wearing hours before the murder were the same ones police later seized at Oland’s home with reddish stains on them. 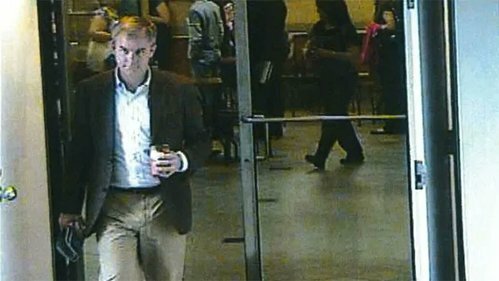 Crown prosecutor Patrick Wilbur handled questioning Fredericks at Oland's first trial. Wilbur is not part of the 3-prosecutor team handling the retrial. 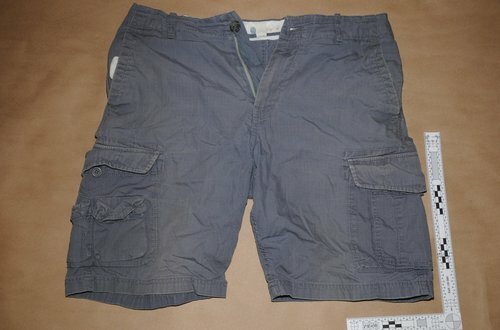 Dennis Oland ultimately acknowledged in his own testimony during the first trial that both pieces of clothing were the ones he was wearing the day of the murder. Another item was a pair of blue-grey J. 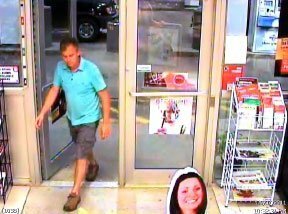 Crew shorts police believed Oland wore in security video at the Irving convenience store in Rothesay at 10:32 p.m. on July 6/11. 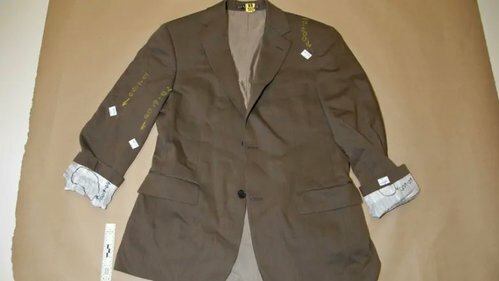 Fredericks did his best to match the jacket on the video with the blood stained jacket seized at Oland’s home. Same colour, lapel notches, breast pocket, same number of buttons on the front and sleeve. “There are no features that distinguish the jackets one from the other,” Fredericks testified at the time. Again though the testimony was made irrelevant later when Dennis Oland acknowledged the jackets were the same. 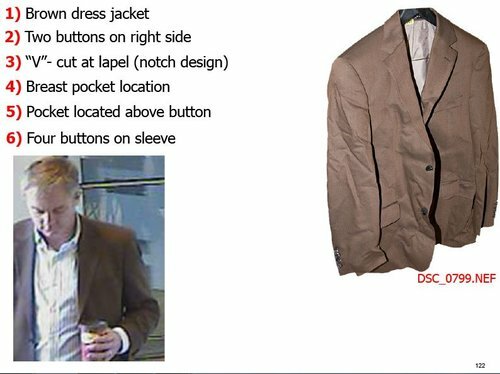 Fredericks found the brown jacket Oland is wearing in the video and the jacket seized from his bedroom closet shared the same "class." No features that distinguish one from the other. Might be the same, might not be, he says. Miller reviews Fredericks' conclusions. 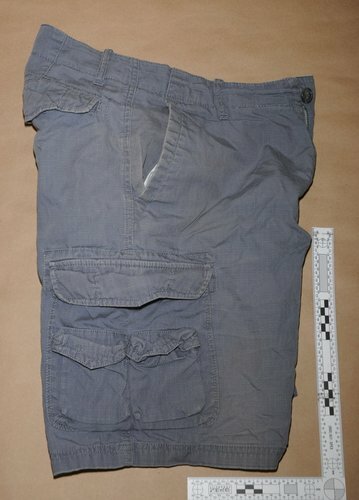 Reads them aloud from his report: "After carefully examining the Known (seized) jacket with the Questioned jacket worn by Male #1 (Oland in video), I have formed the opinion that the Known and Questioned jackets are of the same class..."
"However, the Known jacket cannot be eliminated as being the Questioned jacket." Same opinion re. shirt and re. shorts. 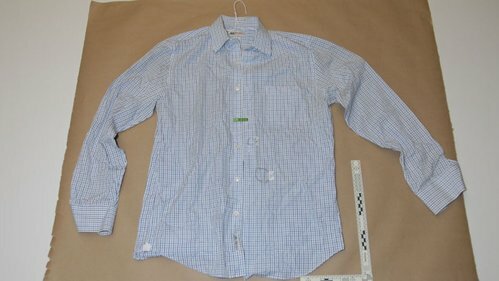 The interesting thing about rewatching the inconclusive evidence given by Fredericks about the jacket and shirt in trial #1 is the cross examination by defence lawyer Gary Miller.